Superdry women’s Gasoline t-shirt. 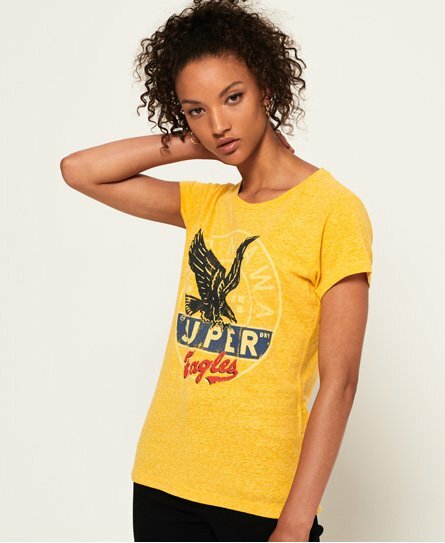 A comfy t-shirt featuring a large, unique Superdry logo graphic across the chest with a cracked finish. This tee is completed with a Superdry logo tab on the hem.